Despite years of warnings and crackdowns by states and municipalities, holiday drunk driving remains a serious problem on our state’s roadways and freeways. Statistics from the National Highway Traffic Safety Administration indicate that in 2014 drinking was involved in 31% of fatal car crashes nationwide during holiday seasons with Massachusetts at 41%, or well above the national average. The holidays surveyed were Thanksgiving, Christmas, New Years and Independence Day. 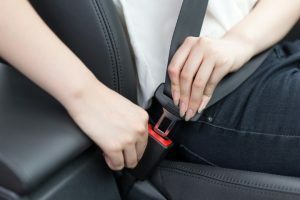 Many fatal accidents occur during the holidays since the roadways are clogged with travelers, either driving long distances to spend time with friends or family, going on skiing trips or on their way to and from holiday parties. New Year’s drunk driving statistics show an upsurge in fatalities during this time with 42% of fatal accidents attributable to drinking although Christmas drunk driving incidents do not increase and have the lowest rates of any holiday season at 34%. The upturn during most holiday seasons is obviously because more drivers are on the roads but there is also more alcohol consumption during the holidays, especially during New Year’s, when many people expect to imbibe and often engage in binge drinking. Contributing to the surge in fatal accidents during this time is not poor weather, which discourages driving, but the recent phenomenon of good weather that invites more motorists on the roads. Another factor may be whether the holiday occurs on a weekend. If it is during the week, there are fewer motorists on the road since a weekend date extends holiday driving and drinking to a three or four day period. However, New Year’s drunk driving is not the period when most fatal accidents occur during a holiday season. Independence Day regularly leads the way with 540 fatal accidents in 2013 and almost 58,000 serious injuries. The NHTSA estimated that from 2007 to 2011, there were 61 alcohol-related fatalities per day over the Independence Day travel period. If you plan on drinking, do not drive. Use a designated driver, a cab or Uber to take you to your party and drive you home. Your reaction time and judgment is impaired when drinking even if your BAC is below 0.08%, the level at which you are presumed to be driving under the influence and subject to arrest and prosecution. Do not get in a car with a driver who has been drinking. Be sure your car is mechanically sound, your windshield wipers are in good condition, tires are inflated and you have chains or snow tires. See that your car is otherwise winterized or prepared for the weather. Avoid driving at night. Most drunk drivers are out at night when they are returning from a holiday party, bar or restaurant. Drive defensively. Assume there are drunk drivers on the road and that cars will not always stop at traffic signals, stop signs or other intersections. The main goal is commonsense and doing all you can to avoid an accident during these times of the year when the chances of being in an accident are highest. You are entitled to compensation from the insurer of a motorist who was responsible for causing your injuries in a car accident. If the driver was uninsured or had minimal coverage, your injury attorney can handle your uninsured or underinsured claim with your own insurer. Also, Massachusetts is a no-fault state. You may collect PIP, or personal injury protection, benefits regardless of fault that generally include medical expenses and wage losses up to $8000. There are certain conditions regarding PIP benefits that your attorney can explain. You can bring an action against the other driver’s insurer for pain and suffering if your medical expenses exceed $2000 or you suffered a permanent or serious disfigurement, a broken bone, loss of sight or hearing, loss of at least part of a body member or a fatality. 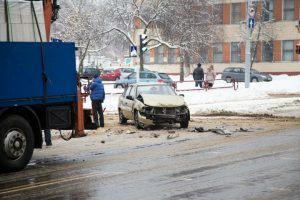 If alcohol was involved, this may increase the likelihood that the other driver was liable but you can only collect punitive damages in Massachusetts in a fatal accident. Punitive damages are awarded in death cases if the defendant’s conduct was grossly negligent or exhibited a willful indifference to the safety of others. A drunk driver’s conduct may qualify for such damages in a wrongful death action. Contact Boston injury lawyer Neil Burns or Roshan Jain if you or a loved one was injured or killed in a Massachusetts holiday accident. We have been representing injured drivers and their families for 30 years combined and have obtained millions of dollars in compensation. Call Burns & Jain today for a free analysis of your personal injury claim.